Earlier this week, the American Institute of Architects (AIA) announced its new initiative to advocate for improved school design policies. Yesterday a representative from the architectural organization met with senior White House cabinet members to discuss legislation that promotes the design of open learning environments that enhance security and safety. 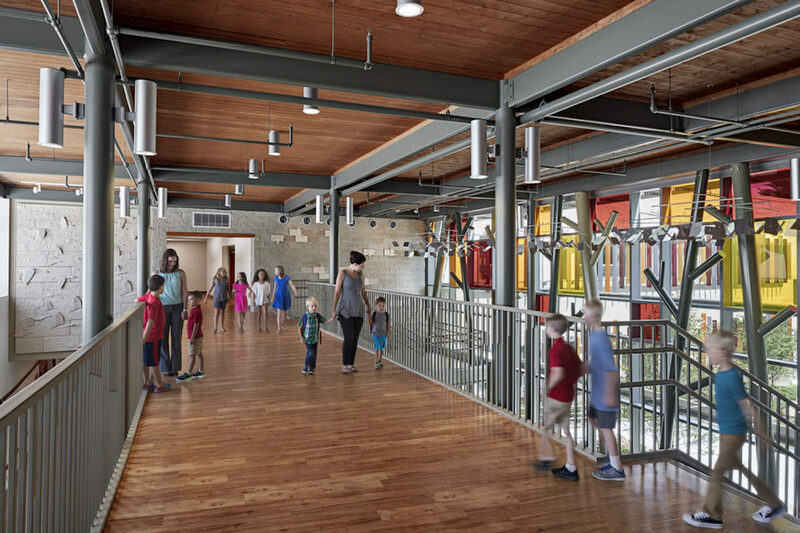 Jay Brotman, AIA, the partner at Svigals+Partners who led the design of the new Sandy Hook Elementary School in Newtown, Connecticut, spoke on behalf of the AIA in Washington. In his statement, Brotman presented best practices used for the school’s secure design and how his team collected input from the community, teachers, and students to address the most crucial needs. Part of the AIA’s goal is to assist the government in creating legislation that provides pathways for federally-funded architecture and design services and grants. 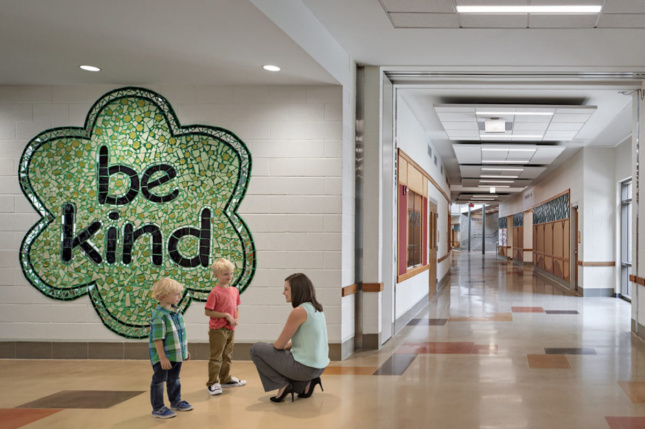 They also want to establish a “federal clearinghouse” of resources detailing best practices for school officials, architects, and design professionals to stay updated on the latest research involving safe school design. In front of the Federal Commission on School Safety, Brotman explained that a one-size-fits-all approach won’t work in designing these facilities. 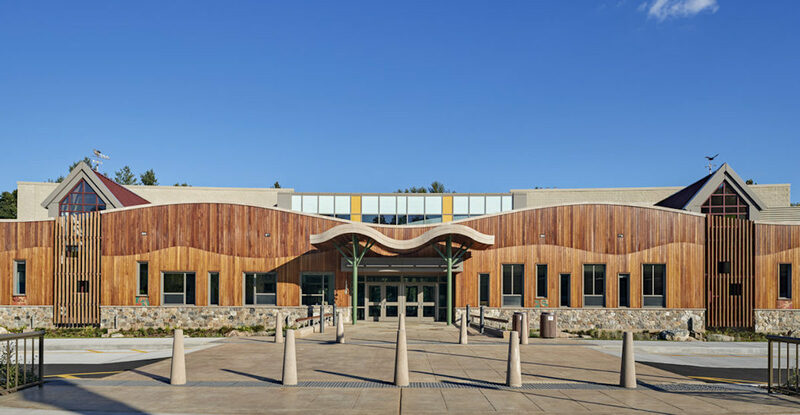 The AIA has yet to unveil any specific design prescriptions for school safety, but Brotman’s testimony is one step closer toward creating more awareness on the importance of safe education architecture. Yesterday’s meeting isn’t the first instance this month in which the AIA has spoken out on the topic. RTA Architects principal Stuart Coppedge, FAIA, presented insights into the collaborative design and community evaluation process to the U.S. Department of Education’s Federal Commission on School Safety in early August while members of the AIA’s Committee on Architecture for Education (CAE) also gave recommendations for safe school design to the U.S. Department of Homeland Security.